Car salesmen are known for using high-pressure sales tactics to close a deal, but there’s no reason to feel steamrolled the next time you need to buy a new car. By performing some basic research in advance and having a few negotiating tactics in your back pocket, you can make sure your next experience isn’t met with any unsavory surprises. Follow our step-by-step guide the next time you’re in the market for a new car and you’ll marvel at not only your own confidence but also at your financial savings while making a deal. Financing your vehicle purchase at the car dealership sounds convenient, but in reality, it will likely end up costing you thousands in extra interest over the life of the loan. Also known as “buy here pay here” (BHPH), the dealership essentially serves as a middleman between you and the lender. On-the-lot financing often raises the interest rate significantly for the same loan you could have gotten on your own. Start your financing search before you even head to the dealership. Talk to a lender at your local bank or credit union, or check rates with online alternative lenders that are based on your credit profile. These financial institutions are less likely to push you towards a loan amount that is too high for your personal situation because they don’t want to make a risky loan. If your credit score is low and you don’t qualify for a traditional loan, consider repairing your credit before taking out a major car loan. If you have an immediate need for a car loan, look into reputable alternative lenders online. They’ll quote you an interest rate without doing a hard pull on your credit report. Plus, that interest rate is tied directly to your credit history so you receive a very targeted offer. Not only can you select your repayment terms, many lenders also offer low or even no origination fees. This process is often much more transparent than that of a car dealership, where you’re more susceptible to paying for add-ons and extra fees. This may sound surprising, but you can ask to see the invoice the dealership paid for the vehicle you’d like to purchase. While you’re not going to get the wholesale price, it gives you an idea of the profit margin they’re are hoping to get with the Manufacturer’s Suggested Retail Price. Some dealers might be prepared for you to ask for this information and show you a dealer generated invoice rather than the original copy from the manufacturer. The price on the dealer’s invoice includes optional add-ons which inflate the price. A manufacturer’s invoice, on the other hand, will be addressed to the car dealership and only includes the price of upgrades that are already on the vehicle, such as a leather interior or sunroof. Even after you have the true invoice price, it’s worth noting that the dealer may have paid even less than that amount because of hidden incentives from the manufacturer. Some experts insist that you may be able to negotiate even lower than the invoice price, but at the very least, you can use that number as your starting point in the negotiation process. You can also shop around at several dealerships to compare invoices. That way, you’ll gain a better understanding of how accurate each one is and set a baseline for your own negotiations and expectations. Not on a bad day for you, of course, but for the dealer. If foot traffic is slow or the dealership is trying to hit a sales target, that is your best chance for wheeling and dealing your way to the best price. For example, bad weather typically deters other customers from going out on the road. After all, no one wants to do a test drive during a rainstorm. This gives you a wide opportunity to take advantage of a slow business day and negotiate with a car salesman who has little chance of making any other sale that day. The day and time you go to the dealership may also sweeten your chances. Try showing up on a Saturday or Sunday evening one hour before closing. If the dealership is short on its weekend goal, they will be more likely to go a little lower on the price rather than letting the sale slip away. Similarly, the end of the month is another time when they’ll be trying to boost their sales numbers. Head in on the 31st to entice them to take your offer — even better if the last day of the month lands on a rainy weekend. Once you’re in negotiations, avoid a major price increase by declining any add-ons they try to sell you. One of the fastest ways to lose any savings you got on the price of the car is to automatically agree on buying a warranty or gap insurance through the dealer. Research extras in advance to see if you need them and what other carriers can give you a better price. Always go in armed with as much information as possible so you can give the car salesman a reason for your responses and requests. Even though you want to be firm throughout the process, it’s also important to be polite. Any person is much more likely to want to help you if they like you, and there’s no reason to be rude. Keep your tone pleasant and don’t let your nerves get the best of you. A good way to do this while negotiating a deal is to acknowledge their offer by briefly restating it in your own words. Then you can either decline it outright or propose a counter-offer. Their goal during negotiations is to keep you on the lot, and some do this in a tricky way if you’re trying to trade in a vehicle to go towards the financing of your new purchase. They may ask for the key to your trade-in car so that they can inspect it, then not give it back right away. This prevents you from walking out during negotiations. Another tactic is to request to look at the title of your vehicle so they can confirm that you do indeed own it. While that may seem reasonable, make sure you don’t let them keep it because this also limits your ability to walk away from a deal. Ask for the title back right away after they inspect it and consider giving a spare key for the vehicle inspection, rather than the one you use regularly. Both of these practices prevent car dealerships from having any sort of leverage over you while you talk about price. When you’re able to walk away from a bad deal, you might just find someone running after you in the parking lot agreeing to your offer. Even though you’ve already secured financing in advance of heading to the dealership, it’s important to keep that information close throughout the negotiation process. If they know you already have financing, they won’t be able to make extra money off the interest and origination fees that come along with in-house loans. This, in turn, makes them less likely to come down on the final sales price of the vehicle. Instead, don’t mention your financing situation ahead of time and remember to negotiate the price of the vehicle only, not the price of the monthly payment. Once you’ve settled on a final number for the car — and preferably get that price in writing — they will likely turn the conversation to financing. At that point, it’s appropriate to mention that you’ve already been pre-approved for a loan with favorable terms and conditions. If you’d like, you can always hear out their financing offer, but just be sure to review all of the fees and length of repayment in addition to the monthly interest rate to get a full comparison of your loan offers. More often than not, your private lender will offer you a better, more transparent deal than any dealership. Buying a car is a major event, so it’s no surprise that it takes a little bit of elbow grease to ensure you’re getting the best bang for your buck. Understanding how a car dealership makes its money and increases its profit margins empowers you to level the playing field as soon as you enter the financing office. From there, it’s as simple as knowing the price you’re willing to pay and knowing when to walk away from a bad deal. 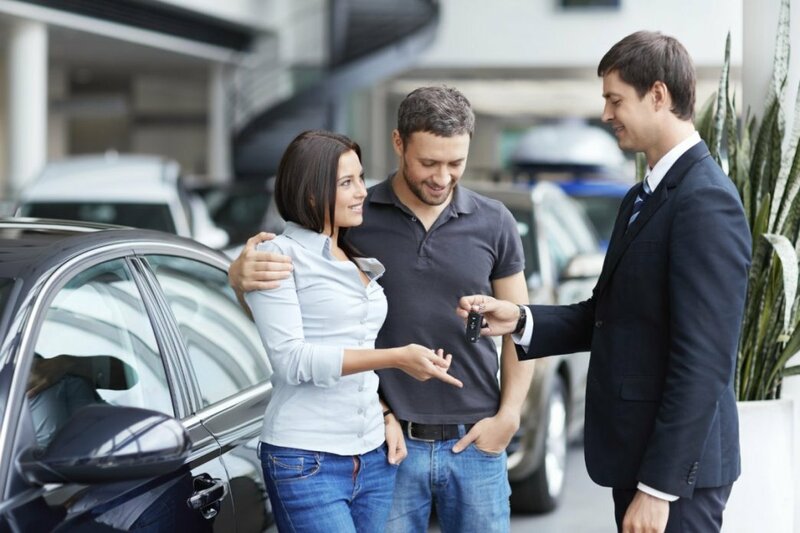 It’s very unlikely any car salesman wants to lose a sale so being firm on your final number while avoiding pricey extras could very likely lead to a good deal that works for everyone. Looking for an auto loan? We've researched the best auto loans for any type of credit. How Much Can I Afford for a Car?